* (0:42) The value of simplicity, flat math, and limited modifiers. * (5:10) The intentional lack of specificity in the 5th edition rules. The history of Anti-Magic Shell. * (11:22) Are there any plans for setting material and the like? * (17:22) Beast form and martial arts attacks. Sage Advice on Twitter. * (0:35) Introducing Vince of Venture Land Games and The Narrative Game System. * (4:44) Questions we collected from social media. In case you don't have the links you can find us at: Facebook, Twitter, Google+ (fan club or news feed), and our forums. * (1:31) DruCon: the fan convention on June 3rd and 4th of 2016. You can find the Facebook group here and back the funding campaign here. * (2:28) Using a well-established NPC in your game. * (6:30) Why is the character there at all? * (7:44) Know the character as a whole person. * (8:49) Throw canon out the window. * (0:39) Welcoming Dr. Bob Arens to the show. * (0:58) DruCon: the fan convention on June 3rd and 4th of 2016. You can find the Facebook group here and back the funding campaign here. * (0:29) We don't win 'em all. * (1:07) Character pictures and why Wayne hates them. People that benefit from a visual element in the game. 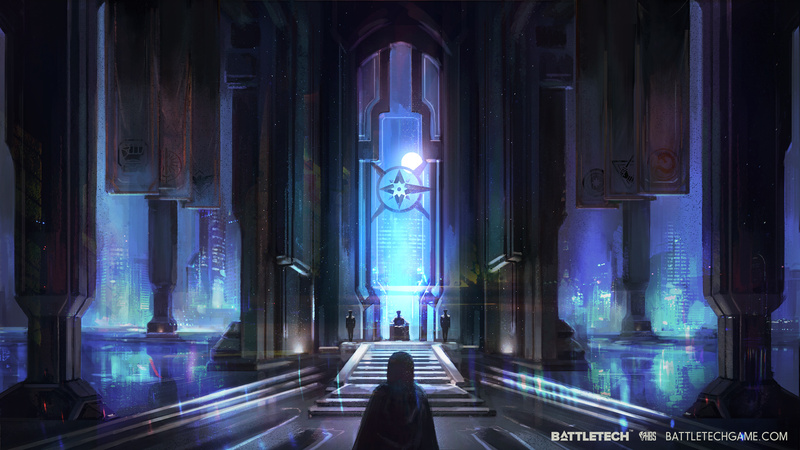 The concept art for the Star League throne. The legend of the collapsible cup. * (12:16) The over-sexualization of female imagery.